Today I made two Sarubobo, Japanese plushes. "Saru" means monkey and "Bobo" means baby. In common recipe, the head comes top of the body. But I put the head on the back. So usually it seems sitting, but this bobo seems like flying. When I finished making one, my boyfriend said to me to put a parachute on it. 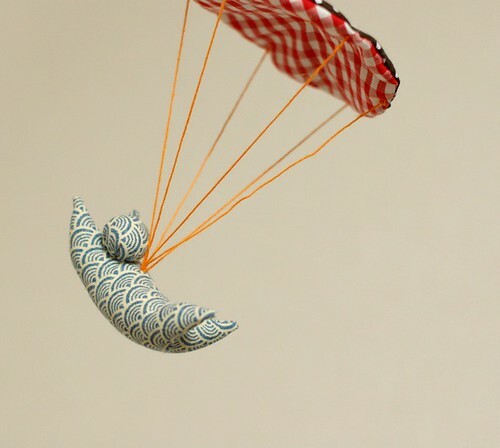 Then I made parachute for it. It seems like flying. The recipe of saru bobo is very simple and easy. They are sooo adorable!! Have a lovely week and love to you! These are stunning! Such a pleasure to look at! Your work is always so immaculate and stunning! I'm a fan of yours. Also, I am writing here to let you know that I have tagged you for this blog game called "Desafio", please go to my blog to take a look at it, and I hope you'd join in the fun and spread the love! I'm enjoying making more bobos! These guys are making me very happy! These are adorable, Mairuru. 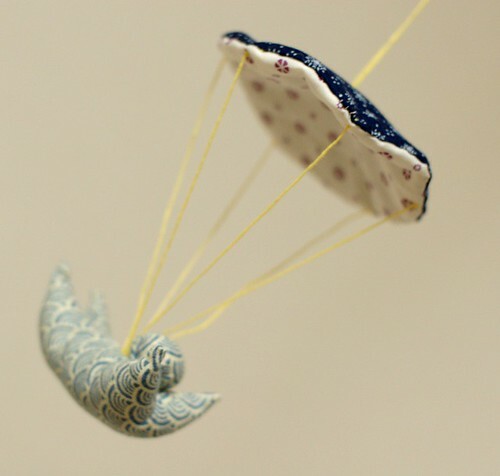 And the parachutes are a great idea! How cute. I am going to make some of these using your instructions for a little doll house I am making my daughter for Christmas. 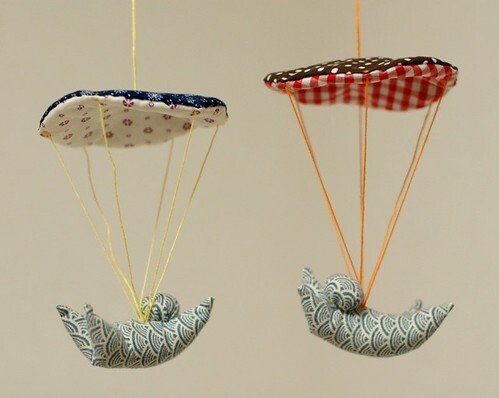 These parachute sarubobo would make a cute mobile for a baby's room.